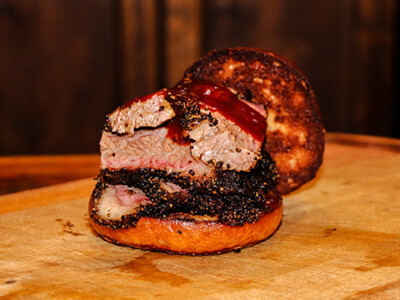 Brisket King of NYC returns for a seventh year to a new venue in Williamsburg. It makes perfect sense to crown the King of Brisket in Kings County, aka Brooklyn, right? There will be plenty of brisket, beer, cider and spirits. More than 20 chefs will compete for the glory of being the Brisket King NYC 2018. The new location is 110 Kent Avenue. The event will be held from 6-9:30pm. 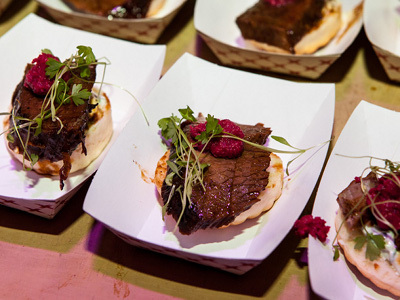 The original idea of the event was to celebrate NYC culinary traditions, slow-cooking through the lens of brisket, inspired by NYC culinary history. NYC brisket will be on display, with results inspired by the BBQ from all parts of the U.S.
Having been to the event before, I recommend that you go with friends so you can divide and conquer the many brisket and drink stations. And, of course, go hungry! 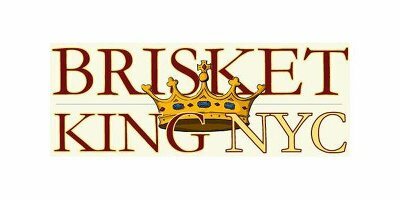 Tickets can be purchased online at https://www.eventbrite.com/e/brisket-king-nyc-2018-tickets-4272352621 for $85 per person. Celebrity judges include Dana Cowin, former editor of Food and Wine, cookbook author Peter Kaminsky, Bravo’s “Top Chef” contestant Grayson Schmitz, food writer and professional carnivore Nick Solares, the Texas huntress Ashley Chiles, author David Rosengarten, Gear Patrol’s Bryan Campbell, cookbook author Donna Gelb, and Food Network’s Vivian Chan. Co-founder / executive producer Jimmy Carbone (Jimmy’s No. 43, Food Karma Projects). Other co-hosts of the event include Brisket King NYC co-founder Jake Schiffman (The Food Network), Jonathan Deutsch (Drexel University), Annie Hauck-Lawson (Mompost), Mory Thomas (f/o Food Network), Cricket Azima (Kids Food Festival). This entry was posted on Tuesday, April 24th, 2018 at 8:41 am	and is filed under Stuff to Do. You can follow any responses to this entry through the RSS 2.0 feed. You can leave a response, or trackback from your own site.